Did you hear about the horrible accident that happened around Isartor last week? I walked right by it on my way downtown. A tram and an ambulance had an argument. 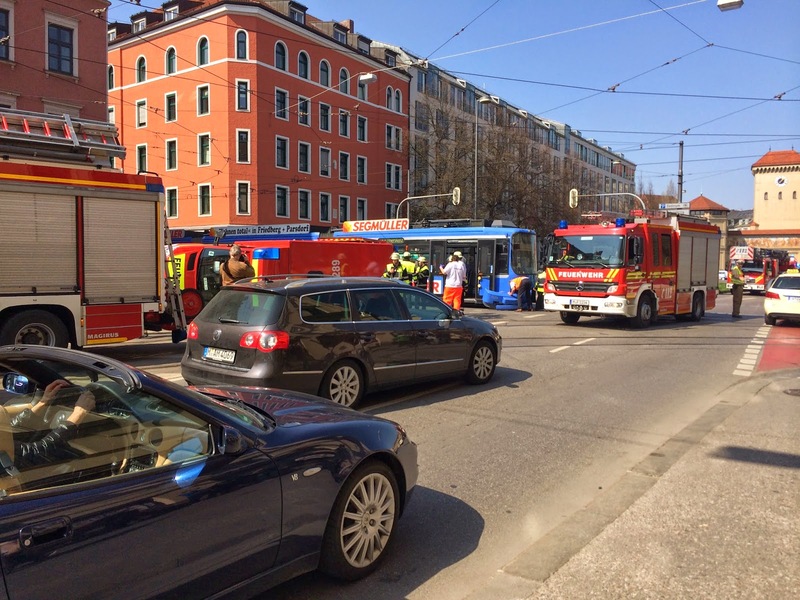 It more or less looked like the tram won, the ambulance was lying on it’s side just pass the intersection (look behind the black VW combi in the photo). It was totally jarring to come upon an accident scene and realize that the rescue vehicle was actually in the accident. From what I heard there were no fatalities. Still, yikes.